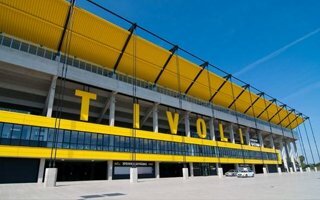 Almost a year before construction Works started, the leading architect assured everyone that the new Tivoli will be a fanatic-friendly ground. 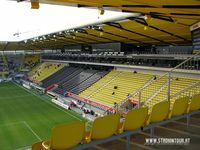 Stands are steep, acoustics very fair and one in three tickets are designated for terracing – very few modern stadiums boast that many standing places. 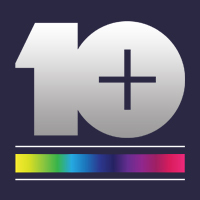 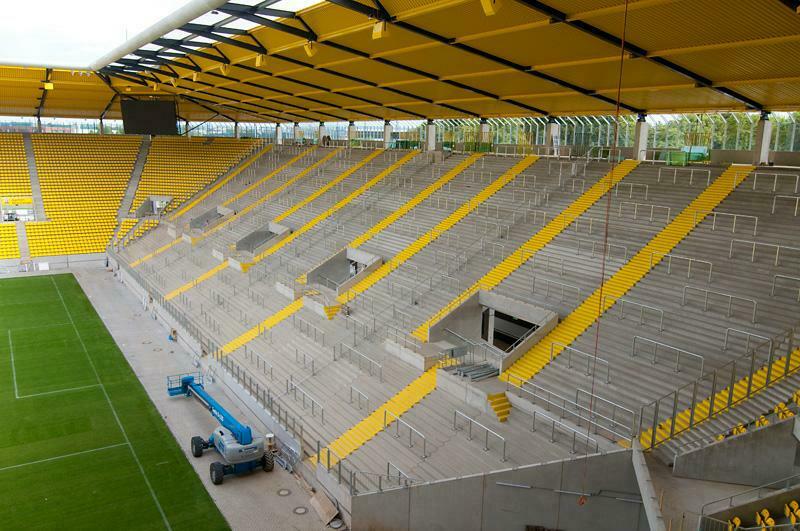 Works started in April 2008 and lasted for almost 16 months. 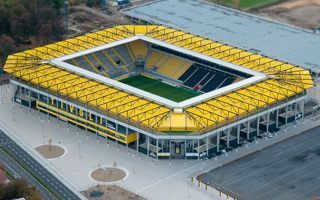 That’s a short period for stadium of this size and was possible to achieve thanks to most of the structure being precast concrete or steel. 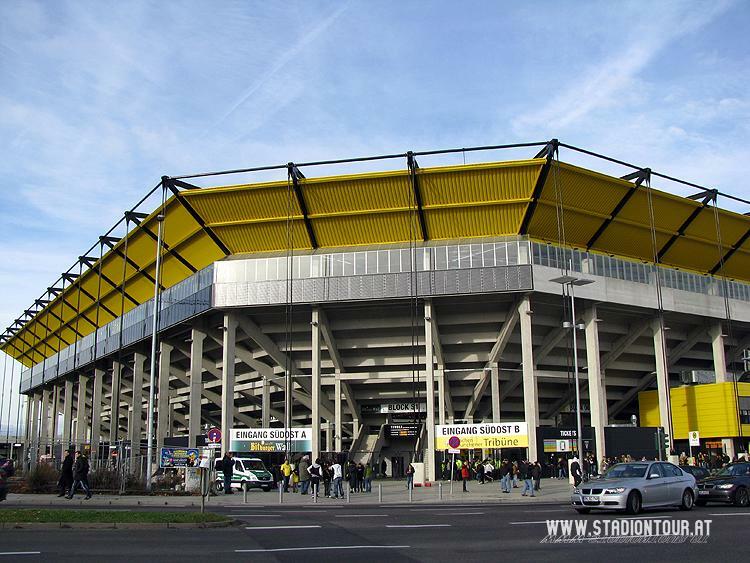 Despite the simplicity the exterior looks well with dominating yellow colour on the roof and façade, black additions and the neutral concrete of the remains. 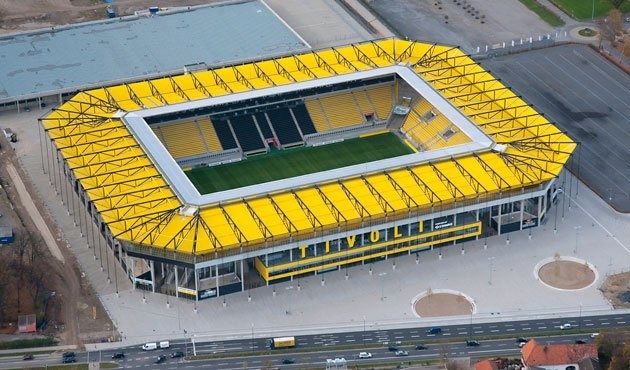 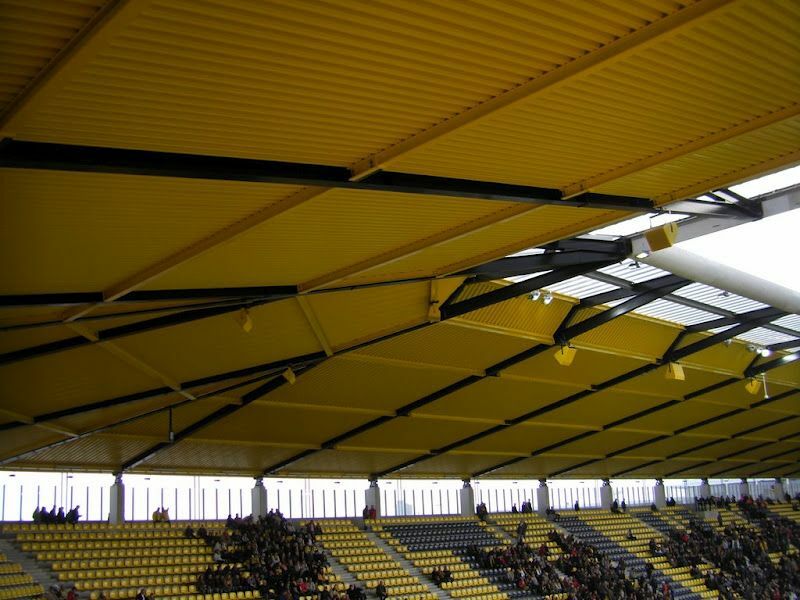 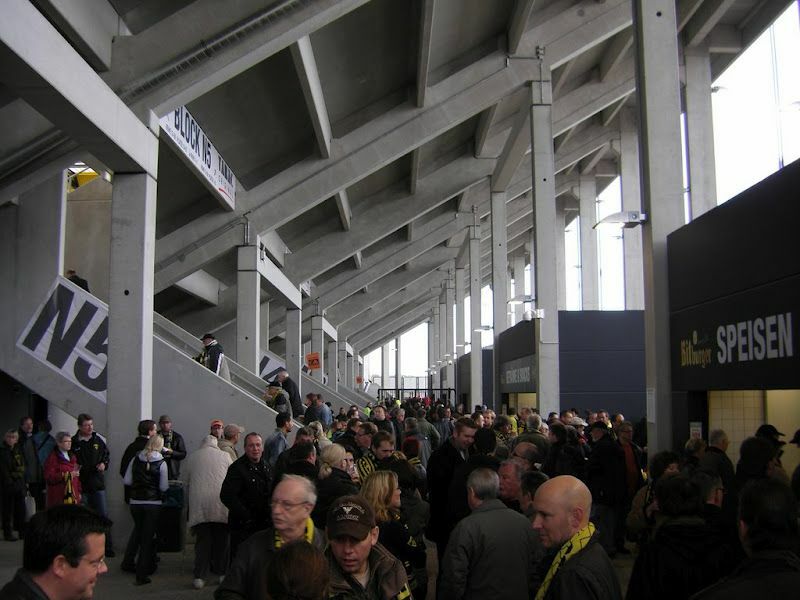 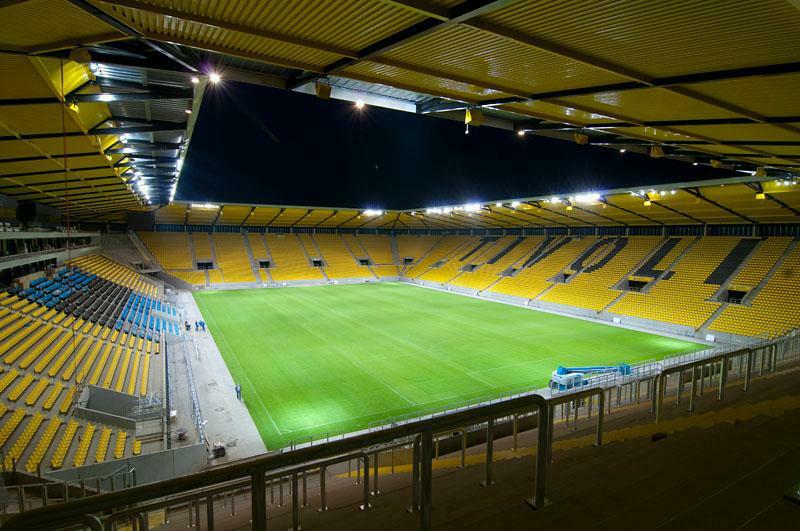 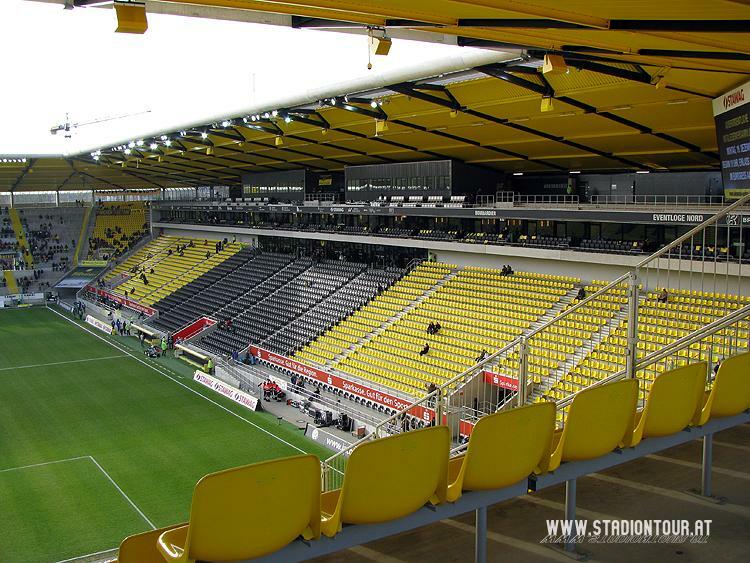 The new ground in Aachen boasts not only good conditions for die-hard supporters, it also presents a certain level for the corporate clients. 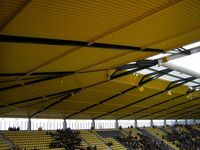 Outside there’s a multi-storey car park for 1,200 vehicles and inside there are 28 skyboxes (12 seats each) and over 1,300 business seats. 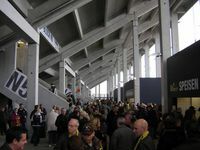 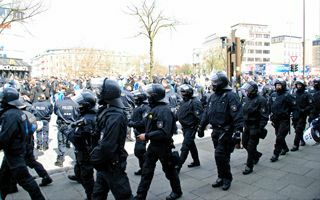 During the first game inside the ground a sad accident occurred when one of the travelling Sankt Pauli supporters fell over a balcony and hit the ground several meters below. 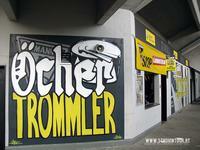 He was happily released from hospital after some time. 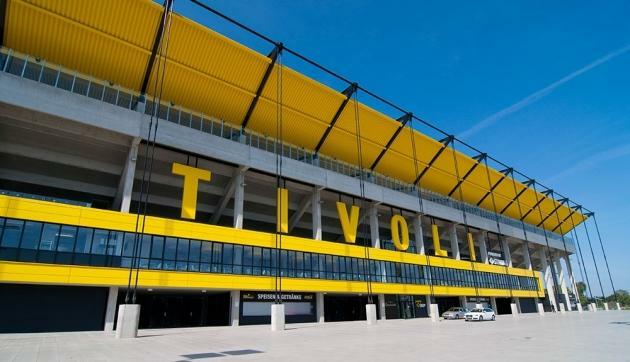 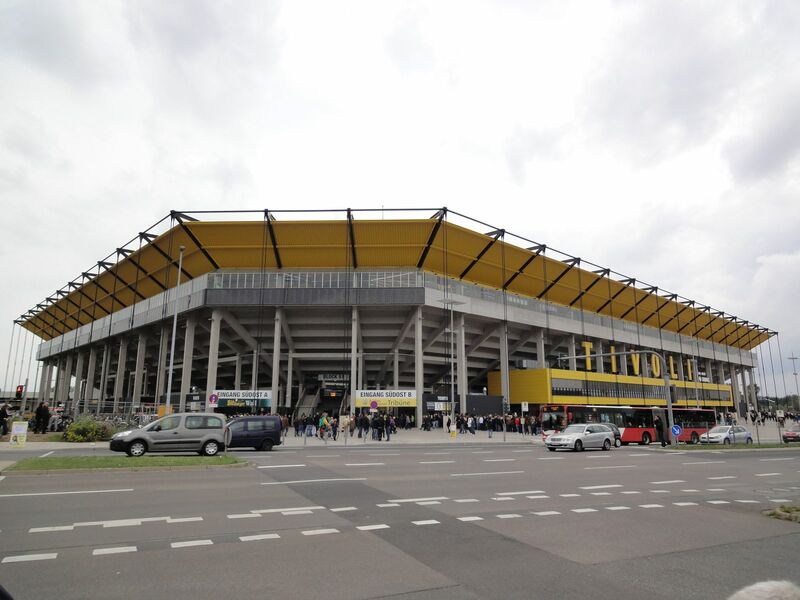 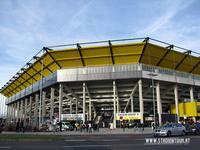 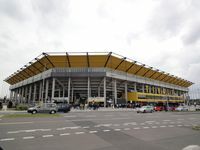 Apart from Alemannia games the Tivoli has also hosted matches of three various German national teams. 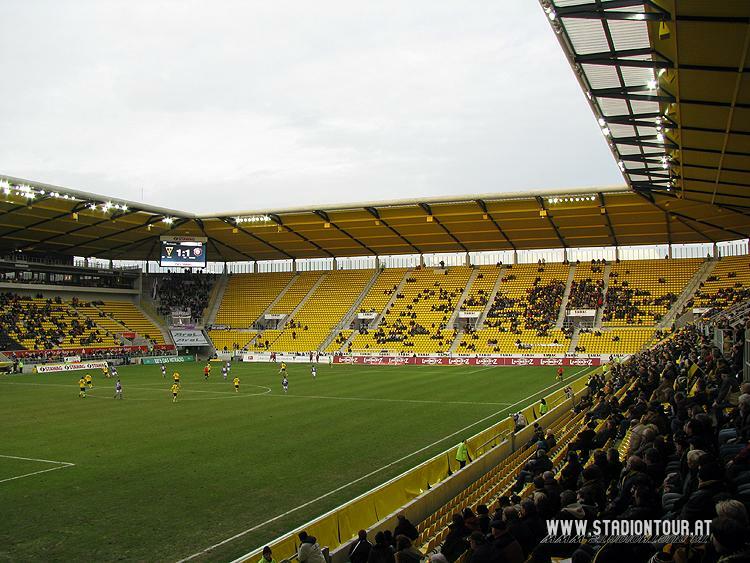 The youth selection (U21) took on San Marino in 2009, the senior squad battled Malta in 2010 and then came the ladies in 2011 to play against Holland. 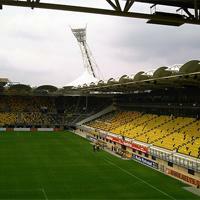 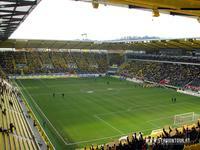 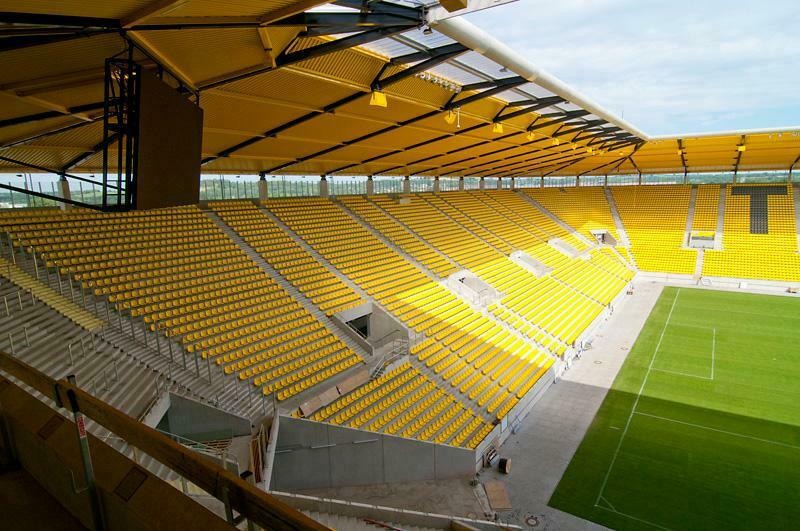 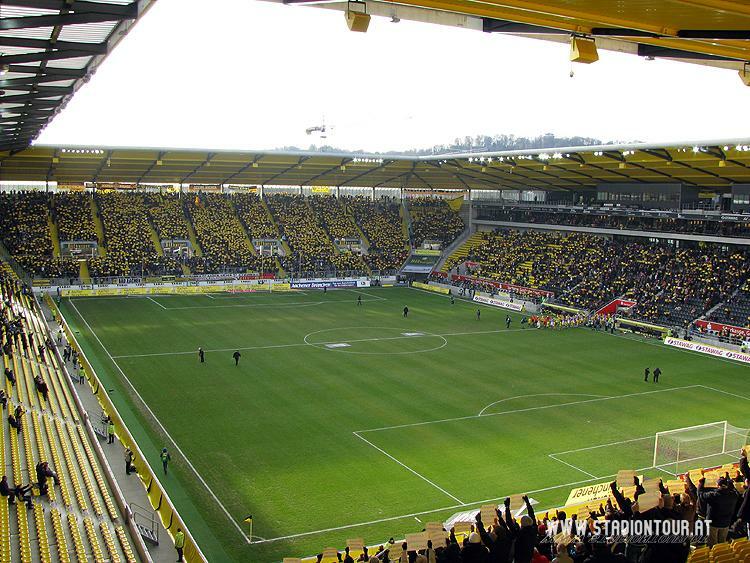 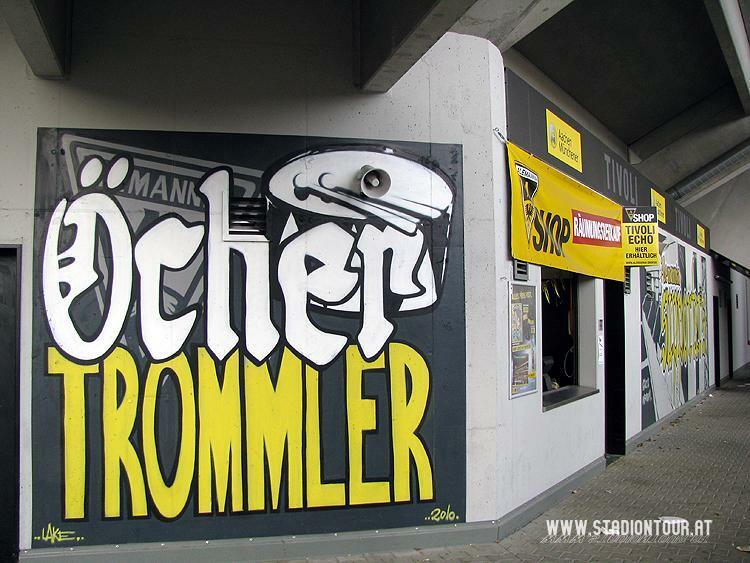 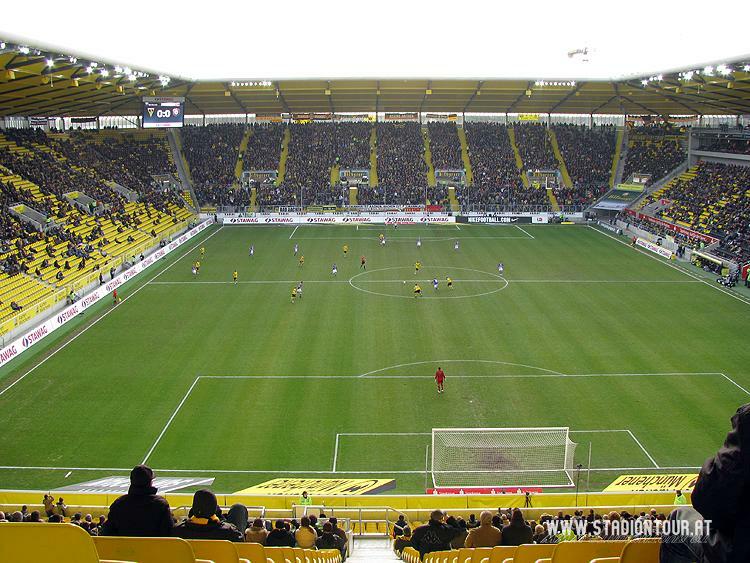 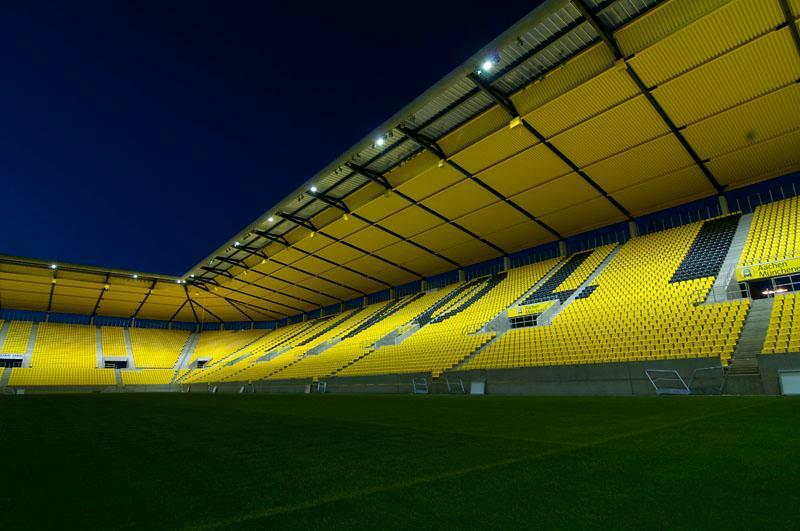 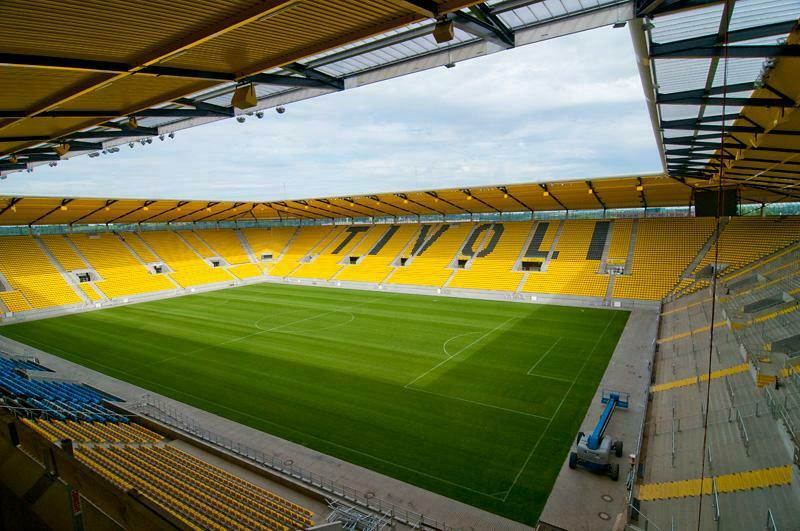 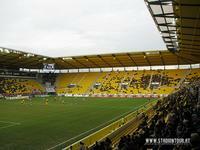 Yesterday it was Alemannia Aachen who drew over 20,000 people to a game in the 4th league. 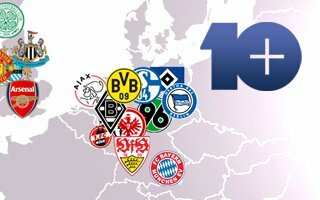 Today 25,000+ came to watch Arminia Bielefeld beat Preußen Münster in the 3rd tier.